Does your garage door fail to open or close properly? Is your Garage door opener broken? Looking to install a new garage door for your home or business? No matter what your garage door needs entail, Prosco can connect you with the right servicemen for the job! Garage door repair and installation is a specialty service that requires the right professional for the job. Don’t waste your time researching different companies and their expertise; let Prosco do that for you. Prosco is committed to connecting you to the best service providers in your area so that you can rest assured that you are getting top notch work at fair market prices. Looking to have a new garage door installed? Or are you experiencing trouble with your current garage door? Call on Prosco for the best garage door services around! Why Choose our Overhead Door Services? Your garage door is essentially a large movable wall on wheels that has a major impact on your home. When it comes to choosing an overhead door company, it’s hard to find trustworthy expert whom you can rely on to get the job done in a timely manner. That’s what we’re here for. When you call Prosco, we have already done the research on the companies that we recommend, so that you can have the peace of mind you deserve. We have Prosco- recommended garage door technicians in every city in the country. Each of the technicians that we work with is experienced and can provide you with fast, courteous, and professional garage door services. Whether you need assistance you with a new garage door installation, or are replacing worn or broken garage door parts, you are sure to receive the best value for your money. Our garage door companies offer very affordable rates and they use only the strongest and most dependable parts, so that at the end of the day, you are left with results that you can rely on for years to come. 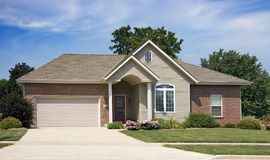 It’s important to realize that your garage door is essentially a second front door to your home, which means it must remain properly secure at all times just as your front door does. If your garage door is broken or it won’t open or close properly, it is extremely important to have it fixed right away. We can connect you with garage door servicemen who can provide garage door repairs for your overhead doors. They can repair and replace garage door parts that are aged or broken, so that your garage door opens and closes securely again. Professional garage door companies understand that security issues cannot be pushed off until morning, so if you spot a problem with your garage door or garage door opener, Prosco can direct you to the servicemen who are available any time of day or night. For new garage door installation, or any service you may need for your garage door or opener, contact Prosco today!